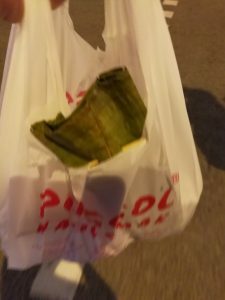 Ponggol Nasi Lemak @ Upper Serangoon Road. Forever long queue! 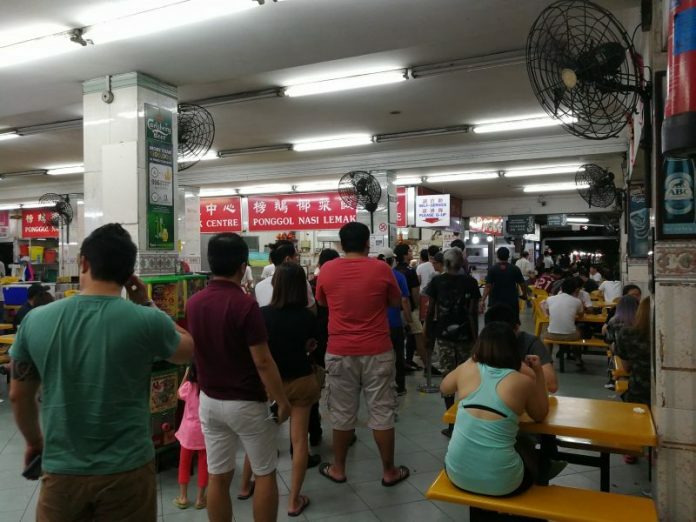 The queue at 11pm on a Saturday. 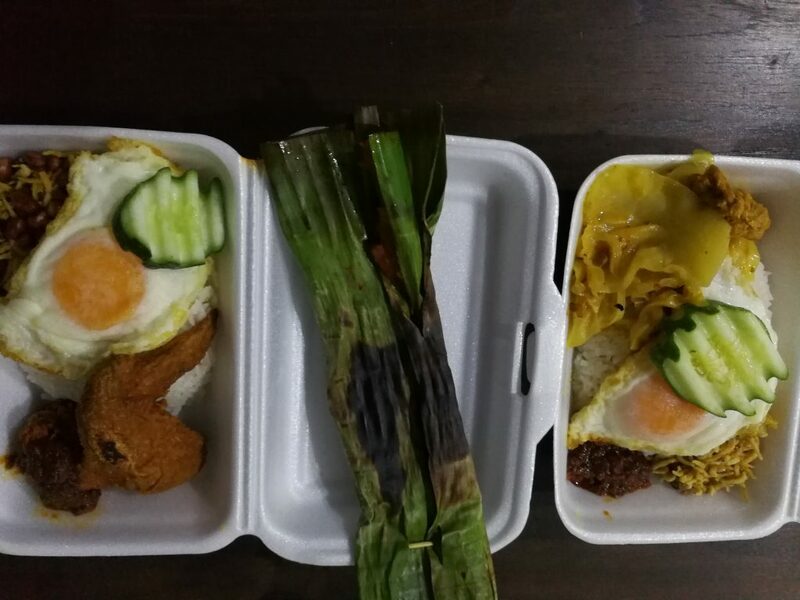 If you are living in the East or North East of Singapore and you are thinking of having some late night supper, Punggol Nasi Lemak would be an extremely viable option. The branch at Upper Serangoon Road opens till 3.30am, making it an extremely popular food haunt for the residents in the area as well as the occasional food enthusiast who would travel from other parts of the island for his Nasi Lemak fix. I have always maintained that the key ingredient for a good plate of Nasi Lemak would be the Coconut Rice and Ikan Bilis. In this aspect, Punggol Nasi Lemak does not disappoint. They get these two key ingredients spot on. The rice is always fragrant and the Ikan Bilis is extremely crunchy and tasty. One of the key gripes I would have about this outlet would be the lack of available parking. There are limited parking lots along Simon Road and you would be really lucky to find a space even past midnight. Never try to park along Upper Serangoon Road as there are enforcement cameras installed to capture errant motorists. The place you can be assured of a parking space would be at the open air car park next to Heartland Mall. It is diagonally opposite the row of shophouses which houses Punggol Nasi Lemak. The second thing you have to be prepared are the long snaking queues for your plate of Nasi Lemak. It takes on the average about 15 minutes to get to your turn to order. The third issue is the price. It is not cheap. 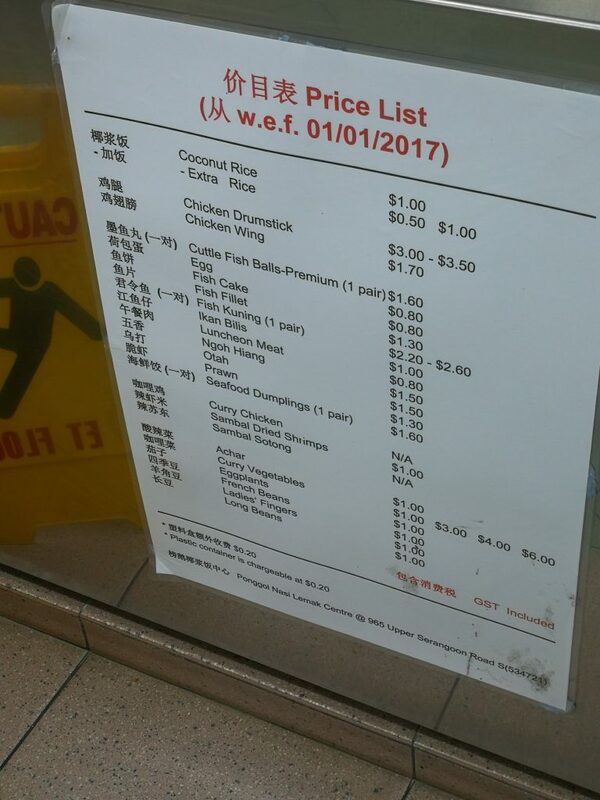 A Chicken Drumstick can cost up to $3.50! Well I guess the last gripe would be the ambience. This particular outlet is located in Mee Sek Coffeeshop along Upper Serangoon Road. It is not exactly the most comfortable place to enjoy a nice plate of Nasi Lemak, especially when it gets extremely crowded. This is perhaps the reason for them to open the branch at Jalan Besar. That particular outlet is air-conditioned and extremely clean and pleasant. For me, I usually order a takeaway from the Upper Serangoon outlet. Verdict: NOT cheap but good. 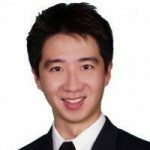 [Guide] For Singles Buying A Resale HDB, How To Get Started.